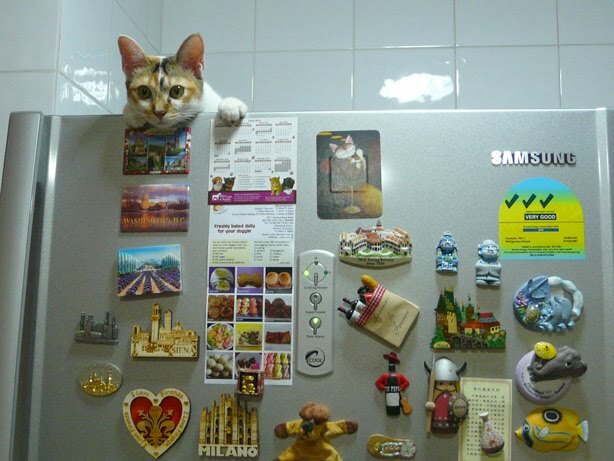 ...on the top of my fridge! To the magnets living on the surface of my fridge: Beware of the feline's paw, you can be scooped and dropped on the floor, and then chewed by Cookie. I'm sorry but life has just gotten tougher for you guys. Hang on there and take care.